Mary McCombs joined OmniStar Financial Group in 2007 as Director of First Impressions. 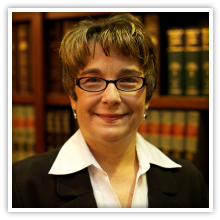 Prior to joining our firm Mary worked in customer service over 33 years. Her passion for serving people and building strong relationships provides OmniStar clients with the highest level of personalized service. In addition to her primary role, Mary goes the extra distance to provide our associates with support in client communications. Mary continued her education at Catawba Valley Community College in 2006/2007. She is a native of Catawba County where she resides with her husband, Joel, and her beloved dog, Anna, and four cats. Away from business, Mary enjoys outdoors, bike rides with her husband Joel and spending time with family.